In the spring of 2009, we put our period London property on the market. We opted for a reputable estate agent to sell our property for us after meeting various companies all claiming they could sell our home in just four weeks. 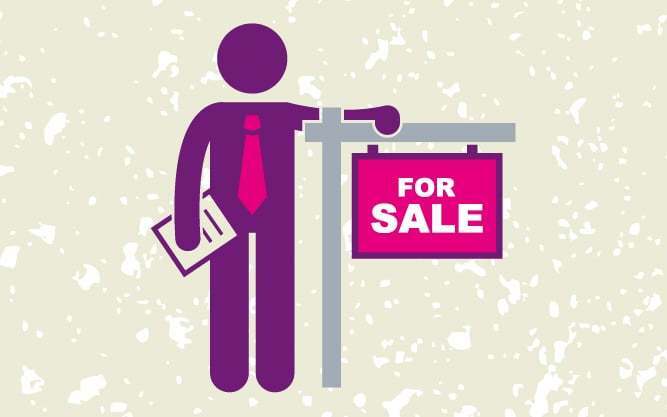 The selected company failed to achieve their claims of selling our property within the promised four weeks so we tried another estate agent. We had lots of viewings and some offers but these were much lower than we had hoped. The property boom was well and truly coming to an end and with the government changing interest rates we felt it was too volatile a time to sell our property. So with broken promises, from several estate agents, we took the property off the market in the summer of 2009. Just before Christmas we decided to try again and this time with a completely different approach. I did not have much faith in the overpaid estate agents asking extortionate fees. So I did some research and found an online estate agent with the lowest estate agent fees in the UK. They don’t have a shop for people to go in, but most people do their property searches online right? It was worth a try. I paid for a board to go outside the home and to have professional photos taken and marketed on all the relevant sites. The calls from prospective buyers were directed to our online agent but I had to do the viewings. I was able to be at home so this worked really well for us. We had viewings and interest was good. I decided to ask our online agent to arrange all viewings for the same day as I wanted to market my property in an open house approach. I de-cluttered the whole house and make it look the best it could. I produced a brochure to hand out detailing all that there was to do in the area. The pack included all the information on schools, routes into London that sort of thing. I baked bread – I know, cliché – but it is a welcoming smell coming into a home. The day went well; the packs were really useful to the prospective buyers and at the end of the day there was a knock on my door. One of the applicants came back and made an offer in person. As it was the weekend he didn’t want to lose the property. Yes, we sold in one day! There were no huge estate agent fees, no estate agents thinking they know your property better than you do. We were thrilled and instead of the thousands of pounds the Estate Agent wanted in fees we only paid in the £100’s. So in February 2010, we left London to live in the country. Sometimes it really does pay to do it yourself.